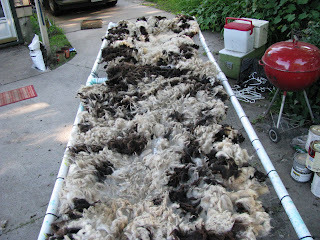 The quality of these two fleeces ended up being really nice, I was quite suprised. I now have about 30 more of these that I have yet to take a peak at so we'll see where things stand in a week right! The one furthest away is a lamb.